Home Q&A Sessions Can Alopecia Areata be permanent? Can Alopecia Areata be permanent? In some cases, Alopecia Areata can be permanent. If the patch has been inactive (not growing hair) for long, the follicle might forget how to produce a hair. The psychological impact of being a patient with a patch of hair loss may trigger subsequent patches. If you are suffering from Alopecia Areata, contact an experienced hair loss treatment specialist as soon as possible. 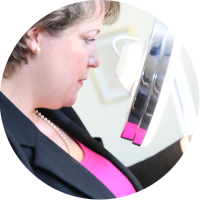 What treatment & support a trichologist can offer to an Alopecia patient? 13-year-old is suffering from Alopecia Areata and showing large bald patches. Any advice would be helpful.